When Elena Frampton walks into a space she immediately knows what the space is calling for. 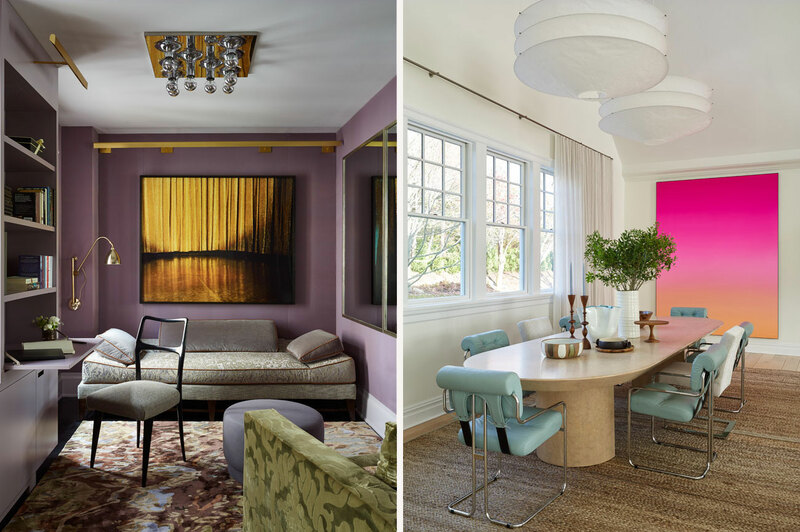 Her passion for integrating art of all mediums into her designs results in custom and unrepeatable interiors that are personal to her clients and their lifestyle. For her, forms, shapes and feelings are more powerful design tools than just chairs and lighting. Her approach to design is artistic and unconventional, and her clients love that she creates something special just for them. Elena is constantly seeking new ways to engage with art, and her advising goes way beyond what picture to put on a wall. She has personally developed relationships with dealers, galleries and artists around the world and works with textiles, indoor and outdoor sculpture, photography, custom furniture, paintings, ceramics, and three-dimensional canvases. Each piece she selects for a project becomes part of the larger conversation between objects in the room, creating an interior experience that is truly client-inspired. Elena loves showing clients how to live with art, how to start their collections, or how to add a new voice to an established collection. Her philosophy is that you don’t have to be so precious or fearful when approaching art. She finds that often people are afraid to commit to buying art or they’re afraid of making mistakes, so they end up not starting a collection at all. She believes art is relational, it doesn’t require a pristine white wall for installation, and perfection is never the goal. Elena helps clients break through their hesitations, loosen up and find the joy of living with meaningful art that speaks to them. When not designing, she can be found in art galleries digging through the vaults for an undiscovered gem. Her highly organized system of art references, as well as her methodical process for visiting art fairs, give her an unusually wide range of creative options to source from.